Terrie Batson began dance training at the age of 5 and began Instructing at the age of 15 for the Baldwin-Copeland Studio of Dance in Wilmington, NC. She taught students of all ages Tap, Ballet, Jazz, Pointe, Clogging and Acrobatics. In 1989 Terrie moved to Atlanta and then to Raleigh where she continued her training & taught dance classes at several studios. Upon her return to Wilmington, at age 26, she continued to instruct students privately for pageants and dance competitions. Under her instruction many dancers have won numerous awards, scholarships and recognition in the dance arena and some have opened their own dance schools. Her routines and dancers have been awarded regional & national honors for choreography, dance spirit, overall placements, grand championships, etc. Terrie is also a judge for local, regional & national dance competitions. 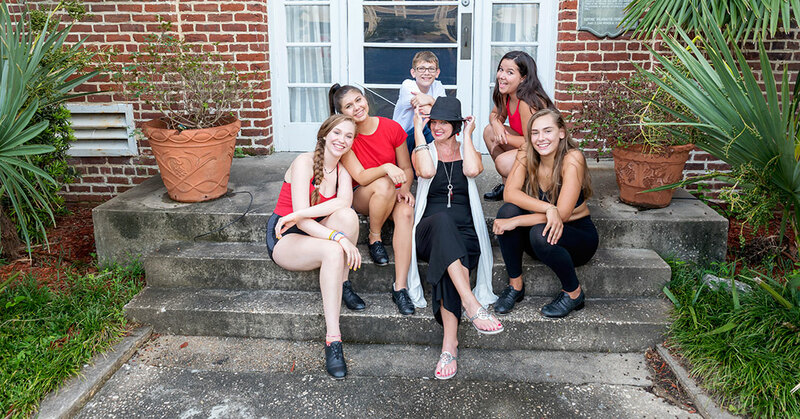 In 1993 Terrie opened Techniques In Motion School of Dance in Wilmington, NC and we are celebrating dance education in this area for 25 years!! Model, dancer and actress, Terrie Batson’s diverse artistic career includes being a Runway & Print Model as well as featured in several area & National TV Commercials & National Print Ads. 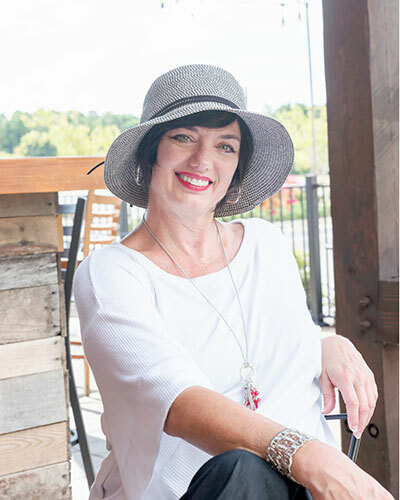 She has acted in major feature films including Mary in “Cyborg” with Jean Claude VanDamme, “Teenage Mutant Ninja Turtles II, “29th Street” and in several Wilmington area Independent feature films & theatre productions. Miss Jennifer began her dance training at the age of six. She studied under Baldwin-Copeland Studio of Dance, Danceworks & Techniques In Motion. She has been on the competition level since the age of eight and began assisting classes at the age of fourteen. At sixteen she began to instruct classes of her own. At 18 she was chosen from hundreds of dancers to tour the United States with Hoctor’s Dance Caravan as a Caravan Kid. During the experience she studied all forms of dance from world famous instructors, choreographers & performers. She received a degree from Louisburg College in Dance Performance and relocated to Orlando, Florida to entertain & perform at Universal Studios. In 2001 she reunited with T.I.M. 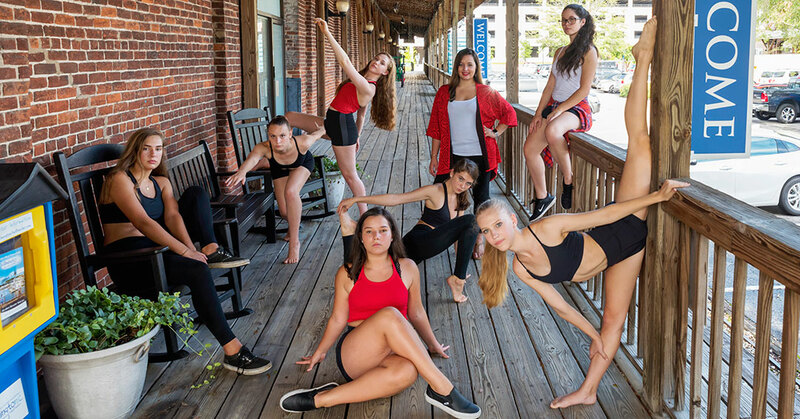 School of Dance and has since been awarded numerous choreography & specialty awards. TIM Alumni Whitney Glenn has once again joined the TIM Staff! 25 year old Whitney began dance classes at TIM at the age of 6. Her training & love for the art of dance includes Tap, Hip-Hop, Modern, Pointe but her strengths are Jazz & Ballet. She began instructing dance classes in various elements at 16 years old and as a Competitive Team Member for numerous years she won many 1st Places and Overalls as a Soloist & Team Dancer, received the 2005 Dance Youth Ambassador Award & toured as a prestigious “Caravan Kid” with Hoctor’s Dance Caravan studying extensively with Barry Youngblood, Jerry Rose & Lorrie Rousseu. Whitney’s dance styles & talent were also featured in several music videos filmed in local & regional areas. After graduating from Ashley High School in 2007 Whitney attended UNCG, studied for BFA in Dance and instructed Acrobatics, Tap, Jazz, Hip-Hop, Lyrical & Ballet @ On Stage School of Dance in Greensboro, NC. Four years ago Whitney’s life took a change and she relocated to Ohio to become a dance educator for The Movement Center School of Dance where the dancers she trained won countless awards including 1st place overalls as well as 2 Choreography awards and competed (and won) against Abby Lee Miller & Candy Apple’s dancers both on and off air. 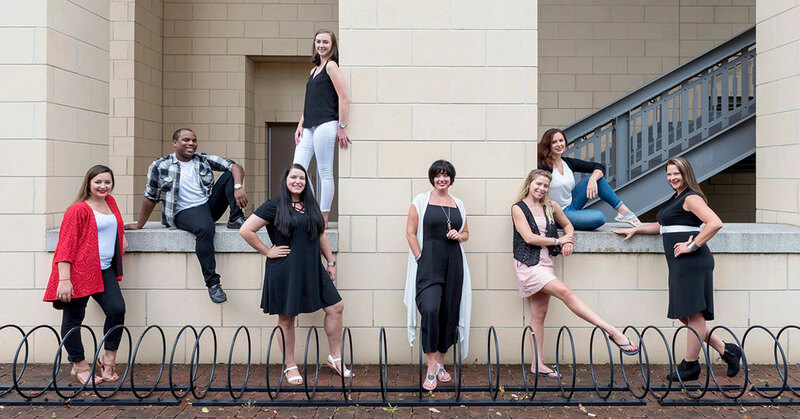 Also while in Ohio Whitney extended her dance training with Sonya Tayeh, Travis Wall, Molly Grey, Mia Michaels, Tyce Diorio, Tokyo of SYTYCD, traveled with the New Visions Dance Company performing across Ohio & Pittsburg and worked helped to change lives as a CNA @ The James Cancer Center. Whitney is more than thrilled to be back in her hometown & at TIM in this capacity to share with the dancers her experience, love and passion for Dance! She also plans on continuing to pursue a career in Nursing. Miss Whitney will be teaching Ballet & Jazz recreational & company classes. Miss Ashley is 20 years old and began dancing at T.I.M. at the age of 2. As a competitive dancer for 13 years, she participated in a number of dance competitions and conventions. Ashley specializes in Tap and Hip Hop but has been trained in all genres from Ballet to Jazz. She is currently enrolled in UNCW with the goal of graduating in 2020 with a Bachelors degree in Clinical Research and a minor in Psychology. Ashley is also a member of UNCW’s hip hop dance crew, Physical Graffeeti, which performs in North Carolina and Virginia. 22 year old, Miss Shannon Clark, began dance at the age 7. Within one year she started on the TIM Competitive team. During the 11 years she on the Company team she was awarded, at numerous competitions, many special awards for her solos, duets, and groups. 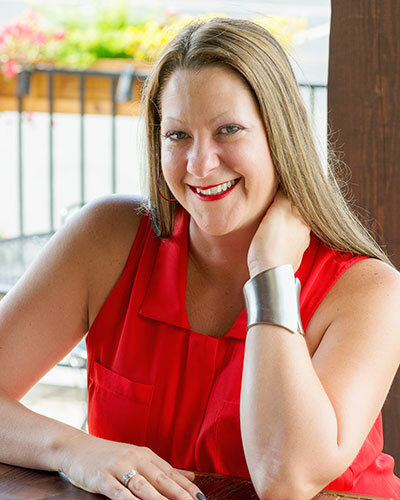 Shannon is a multi-talented dancer & instructor, who began assisting TIM dance classes at the age of 13, with experience & training in various elements such as Contemporary, Tap, Jazz, Ballet, Hip-Hop, and Modern. For the past 4 years she has taught all ages in Tap, Hip Hop, and Contemporary. Shannon is in her last semester of College working on her bachelor degree in Elementary Education but plans to continue teaching dance! She is excited to share her love and passion with the dance students at Techniques In Motion. Kelly Johnson was born and raised in Wichita, Kansas. Her enjoyment for dance began at the age of 4, starting in both ballet and tap. At age 8, she began a more serious level of training in ballet under the instruction of Sharon Rogers with Rogers Ballet Inc. Here she additionally trained in tap and jazz. Kelly went on to achieve her B.F.A. in Ballet at Friends University, graduating in the Spring of 2016. Training under the direction of Stan K. Rogers and Sharon Rogers, she has developed the skills to train, teach, and choreograph in the upmost professional manner. Kelly has worked with well-known choreographers such as Dominic Walsh (Dominic Walsh Dance Theatre), James Wallace (Director of Dawson/Wallace Dance Project), and Melonie Buchanan Murray (Ballet Professor at The University of Utah). Additionally, she has taken a master class from Alonzo King, director of the contemporary ballet company, Alonzo King’s Lines Ballet. During the summer of 2016 she attended the Oklahoma City Ballet summer intensive on Scholarship, where she trained for six weeks under the direction of Robert Mills (Director), Penny Askew (School Director), and OKC Ballet Principle and soloist company members. 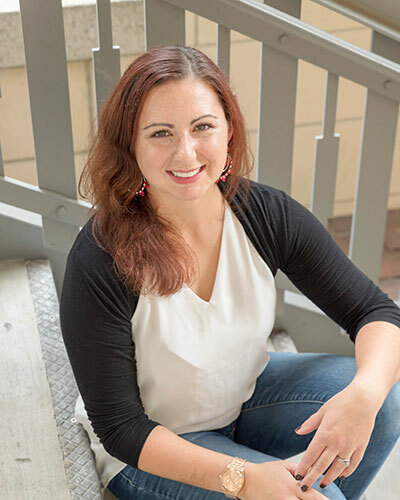 Kelly has been teaching ballet at Midwest Dance Mechanix in her home town for the past Spring and Summer sessions, in which she has worked with various levels of dancers being of age 3-18. 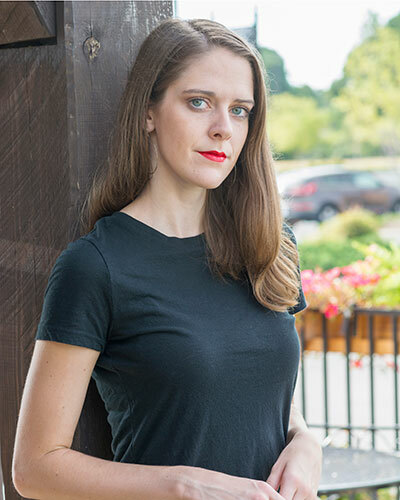 She is thrilled to continue her work as an instructor in Wilmington, with Techniques in Motion, while additionally training with The Wilmington Ballet Company under direction of Elizabeth Hester. Miss Kelly will be instructor for Monday Elite Ballet Company class & Pointe. Hayley Fowler has been a TIM Dancer since the age of 3! She started competing as a Mini company member at the age of 6. Trained in gymnastics by Carolina and Port City Gymnastics, she continued to dance with Techniques In Motion and completed dance & acro training until graduating from Eugene Ashley High School in 2013. She was also a dance/acro teacher assistant for four years. Miss Hayley’s strongest element in dance is Acrobatics and Lyrical, but she is also trained in Hip-Hop, Tap, Modern, Jazz and even Zumba! She is the daughter of Melissa Fowler who was a former Acrobatics teacher at Techniques In Motion. Miss Hayley is a mother of a beautiful daughter Parker Ann and she now attends Cape Fear Community College for Early Child Hood education. Hayley will be instructing Acro Level 1 starting August 2014! 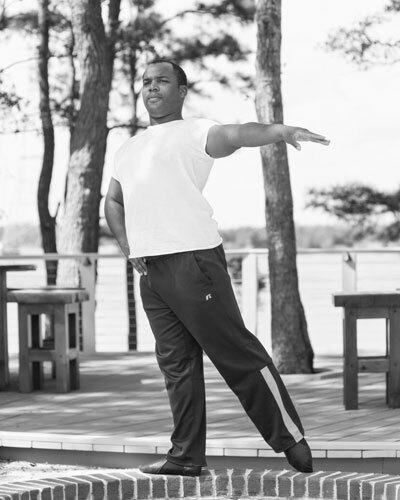 Qaadir began his dance training at age 7 when he performed a tap routine. Since then, he has trained with The Dance Cooperative, Techniques in Motion, The International Ballet Academy, The University of North Carolina School of the Arts, The North Carolina Dance Theater, and the Wilmington School of Ballet. His performance credits also include the titlular role of the Nutcracker on in the Wilmington Ballet Company, Forward Motion Dance Company, Dance-a-lorus, and Opera House Theater Company. His teaching credits include The Dance Cooperative and the Dance Element while his choreographic credits include Dance-alorus. He earned a BFA in Dance Performance and Choreography from East Carolina University. Kelsey Stott began dance training at the age of 2 and started dancing competitively at the age of 6. Growing up she danced at Calvert School of Dance, The Dance Attic, and CC & Co. Dance Complex training in tap, jazz, ballet, contemporary, and hip-hop. Kelsey attended numerous dance competitions and dance conventions such as JUMP, NYCDA, NUVO, Starpower, On Stage America, etc. She has received training from dancers like Travis Wall, Nick Lazzarini, Mia Michaels, Sonya Tayeh, Martha Nichols, and Mike Minery. Kelsey began as a tap instructor at the age of 16 at Field of Dreams Performing Arts Conservatory. 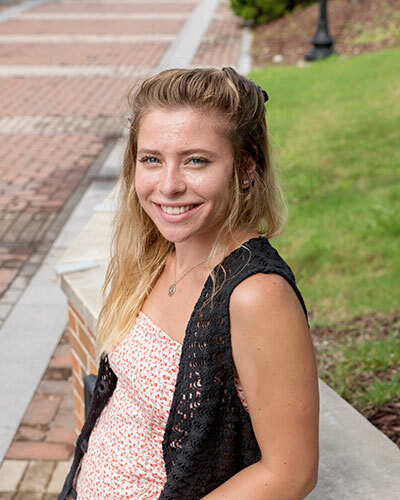 After teaching there for two years, Kelsey headed off to college at The University of North Carolina Wilmington. Throughout her entire college career, Kelsey was a member and performer for UNCW Dance Company. Every year she auditioned and was selected to choreograph and perform the tap dance for UNCW Dance Company’s annual showcase. Kelsey is now a graduate of UNCW with a B.A. in Psychology and a minor in Applied Behavior Analysis and Developmental/Intellectual Disabilities. 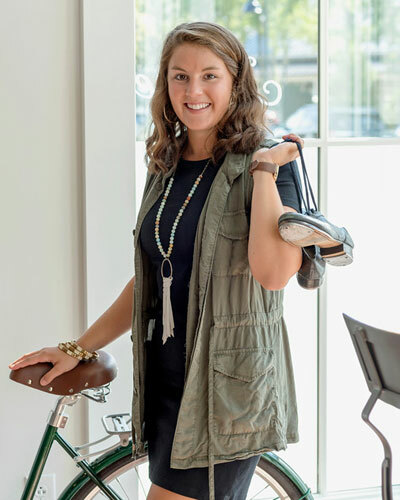 Kelsey works full-time for Mission Made Jewelry which is a local non-profit that is working to break the cycle of poverty for individuals around the world through the sale of handmade products and Rekon Intelligence, an event management company that hosts regional and national events. Kelsey absolutely loves dance and is working with the Petite Tap Company and teaching the Elite Tap Technique class this year. Raised in West Chester, Pennsylvania she was able to study at various studios around the area in numerous styles of dance such as: Ballet, Tap, Jazz, Hip Hop, Lyrical, Contemporary, and Pointe. While in West Chester she became a member of Ash Contemporary II, under the direction of Braham Logan Crane, as well as two up and coming Hip Hop companies “So Fresh,” and “Beatminors.” While in Pennsylvania, Jessica participated in many touring conventions as well as competed and performed throughout the Tri State area. At 15 years old Jessica began training and performing in Manhattan, New York. She was selected to be a member of a Hip-Hop Crew “Generation X” under the direction of Kelly Peters. Soon after, she placed for Broadway Dance Center’s “The Children and Teen Program” and the accelerated “Professional Track” training program where she was trained by various teachers such as: Cat Cogliandro, Stacie Webster, and Jamie Salmon. She was also selected to be a member in the company associated with Broadway Dance Center, “Arts In Motion” where she had the opportunity to perform locally in NYC. 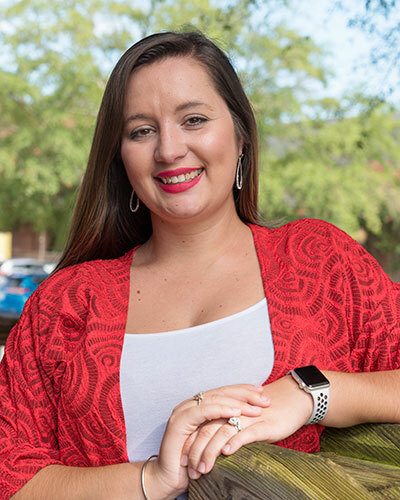 As a member of the Albright College Dance Team she was able teach frequent classes to co-members and choreograph pieces to compete and perform for annual events. 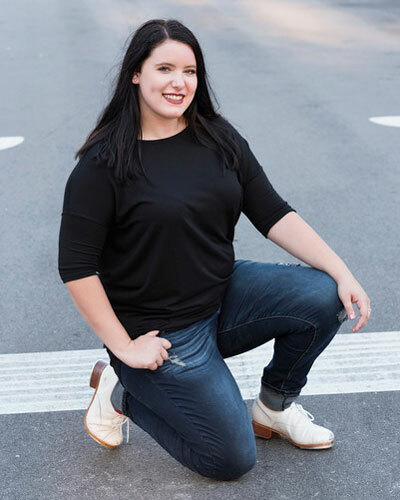 While in Reading, Jessica also became a Dance Instructor for two studios: Limelight Dance Studio and Future Legacy of Dance where she taught styles Ballet, Contemporary, Jazz, Hip Hop, Pointe, and Lyrical to dancers of all ages. While an instructor at these studios she choreographed pieces for competition and performance opportunities independently. Currently, Jessica is twenty-three years of age and resides in Wilmington. Here she works as a Social Recreational Counselor for children with Autism as well as teaches various styles of dance to all ages. Jessica loves the art of dance and her dreams are to generate a space of support, passion and progression within dance as well as inspire and facilitate her students to be the kind of dancer they aspire to be. Miss Emily began her dance training at the age of four at Techniques in Motion School of Dance. She joined the TIM competitive team when she was seven and began assisting classes at the age of thirteen. Her experience has included training in various elements of dance such as Tap, Jazz, Contemporary, Modern, Ballet, and Pointe. Emily has received numerous awards and scholarships from competitions and conventions such as JUMP and 24 SEVEN. 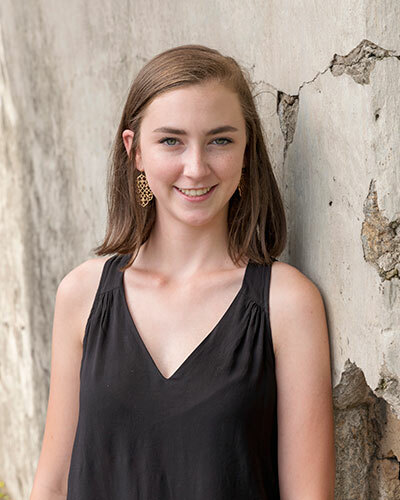 Fostering her love of tap, Emily has continuously engaged in opportunities to learn from tap masters including Savion Glover, Anthony Morigerato, Mike Minery, Ryan Lohoff and many more. 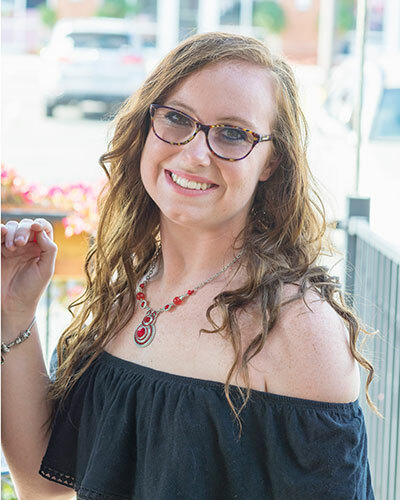 She received her certification as a CNA her senior year of high school and is now enrolled at UNCW with the goal of graduating in the year 2022 with a Bachelor of Science Degree in Nursing. Emily is excited to share her love and passion for dance with the students at Techniques in Motion. Miss Katie began dancing at the age of four and teaching at the age of sixteen. She has extensive training in ballet and pointe, as well as tap, jazz, hip hop, and lyrical. She studied dance at Maryland Hall for the Performing Arts, Jeanette’s School of Dance, both in her home state of Maryland. She danced in college and Goucher College outside of Baltimore. She has performance experience as Giselle in “Swan Lake,” Cinderella in “Cinderella” and the Sugar Plum Fairy in “The Nutcracker” on more than one occasion. Once she moved to Wilmington, she performed in the Wilmington School of the Art’s Nutcracker with several roles, including a solo as the Spanish Dancer. She has experience teaching dance at a local studio that has since closed. In her role as teacher, she helped run and organize the classes and was the point of contact in Wilmington for parents. She has experience teaching ballet, tap, jazz, and beginning hip-hop. She has experience teaching ages 2-16 and is SO excited to bring her talents to TIM!